another month. 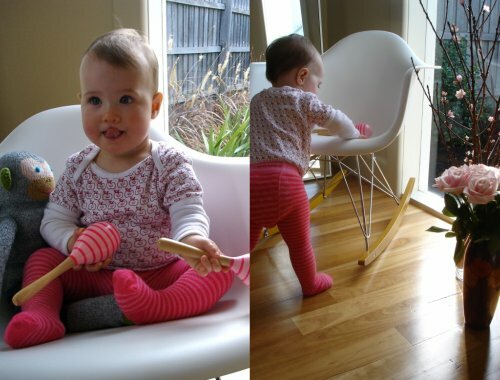 another portrait on the eames rocker. surprisingly, this time mirka didn't seem to mind sharing the spotlight with coco the monkey, like she normally hates sharing it with maxwell the mi5 agent. anyway, here is the birthday girl with her new maracas. i'm afraid it's a big mirka-centric week this week, but i promise to do a design post tomorrow.. or sometime. you know.